While SEC Commissioner Greg Sankey made remarks about the possibility of the conference starting conversations about a change in policy with regard to sports gaming, Bob Bowlsby, commissioner of the Big 12 Conference, has taken a different view. At the recent Big 12 press day, Bowlsby stated the organization has not begun to consider any conversations about sports gaming and its implications for college sports. The Big 12 Conference did not begin with twelve colleges and universities. Instead, it started in 1907 as the Big Eight Conference. Its members included Oklahoma, Missouri, Kansas, Kansas State, Nebraska, Iowa State, Oklahoma State, and Colorado. The conference changed to the Big 12 Conference when it added Texas, Texas A&M, Baylor, and TCU to its membership. However, unlike the SEC, which has remained fairly stable, the Big 12 has been through many changes. Texas A&M, Nebraska, Colorado, and Missouri left the organization and West Virginia and Texas Tech were added to it. The conference is considered a major conference, with earnings from football alone nearing $400 million in 2017. Bowlsby said that the Big 12 is taking a wait-and-see approach with regard to sports gaming. The conference believes that it will have time to act after it sees how many states actually legalize sports gaming. Currently, only West Virginia appears to be close to legalizing sports gaming in its casinos and racetracks. The Big 12 appears to be waiting to see the true reach of sports gaming legislation before deciding to act. 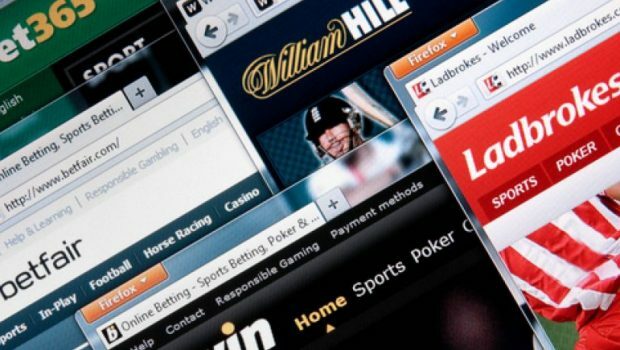 It has been estimated that, in the next few years, as many as 30 states may offer sports betting. Because the Big 12 Conference is facing the very real possibility that at least one state in the organization will offer sports gaming, the commissioner, while discounting the overall reach of sports gaming in the Big 12, has said the conference has begun to put into place measures to safeguard the integrity of the game. The conference has already contracted with a data management company to watch the games within the Big 12 conference that are being bet on and alert the conference when money moves quickly to a particular team or a particular game. Then, the Big 12’s investigative branch can begin to investigate any irregularities in the game. This first step is important because, in countries where sports gaming is legal, many teams and leagues already have regulatory agencies in place to ensure the integrity of the games, as well as the protection of the gamers. The Women’s Tennis Association (WTA) has a regulatory agency to monitor tennis matches from beginner levels to the top echelon to make sure that match fixing does not take place. This is especially important at the lower levels of the game. Many match fixes occur there because the players are more likely to be vulnerable to a cash payment to throw a game rather than professionals who receive thousands of dollars in prize money. In addition, soccer leagues hire outside companies or they have government agencies to ensure games are played without the influence of gaming interests. Although the Big 12 has adopted a wait-and-see attitude, this does not mean that it will act like ostriches in the sand if gambling is widely adopted across the nation. Instead, the commissioner hopes that the adoption of gaming occurs slowly so the conference can prepare for it and put regulations in place in order to guarantee the games remain untainted.